Iphone Active: "The iPhone will not experience significant growth in the market in the next decade"
"The iPhone will not experience significant growth in the market in the next decade"
"The iPhone will not experience significant growth in the market in the next decade if Apple launches low cost phone." These are the findings published this week by the firm ABI Research, who has studied the growth of smartphones in the market and analyzed cases of large companies like Samsung and Apple. The study highlights the qualities of the iPhone 5, highlighting the ability to connect to LTE data networks. 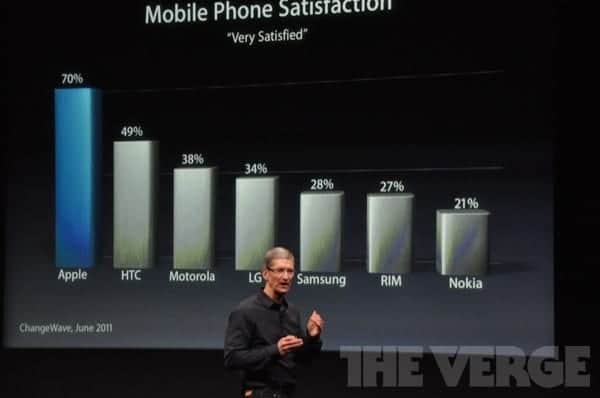 For this reason, the iPhone could reach maximum market share of 22% in 2014. 2013 is the year to help grow Apple in the smartphone market, which is gaining strength against traditional phones. The study says that by 2014, smartphones will concentrate 50% market share in 2018 and will become 69%. But Apple will experience growth only until 2014, the year the company achieved a 22% market share and hence will not grow until 2018, according to forecasts from ABI Research study. The reason? Emerging markets begin to dominate the technological landscape, as well as low-cost smartphones that increasingly more people arrive. If Apple launches a low-cost smartphone, its growth will be virtually stagnant for the rest of the decade. More- The iPad also suffer a cut in their production: what's happening in the Apple world? The article "The iPhone will not experience significant growth in the market in the next decade" was originally published in News iPhone .